Cataracts are the clouding of the lens inside the eye. Most cataracts form as a normal part of getting older and can eventually cause problems with vision and tasks such as reading and driving. The lens sits inside the eye, directly behind the iris. It works much like a lens inside a camera, helping to focus light on the retina at the back of the eye. A cataract is not a growth or a skin. Rather, over time the proteins inside the lens break down. This can turn the lens, or parts of it, cloudy or misty. Cross-section of an eye showing the cloudy lens caused by cataracts. The main risk factor for cataracts is age. Cataracts are most common in people over 60 years of age; by the age of 90, almost all people have some level of cataract. Most general cataracts are due to the ageing process. They tend to develop slowly and in both eyes, although one eye may be worse than the other. Most age-related cataracts are white or yellow in appearance, although very advanced cataracts can appear brown and even black. They may cover most of the lens or just part of it. Congenital cataracts are present when a baby is born, due to an abnormal development of the lens. One or both eyes may be affected. Congenital cataracts vary in appearance. There may be a general whitish clouding of the lens, a branched appearance, they might look like flakes, dots or colours, or appear as a clouding of one part or section of the lens. In most cases, no cause can be identified. Congenital cataract can run in some families. It can also be present in a range of birth defects, including Down syndrome and congenital rubella syndrome. Most cataracts develop slowly, so many people with early signs of cataract may not notice any significant change to their vision. Cataracts usually affect both eyes; however, they can often develop more quickly in one eye than in the other. Double vision or ‘ghosting’ of images. Cataracts are often detected as part of a regular eye examination. Your ophthalmologist or optometrist will generally conduct a number of tests to determine how much the cataracts are affecting your vision and to make sure there is no other cause of vision problems. A slit lamp is an instrument that easily detects cataracts. It is similar to a microscope and allows examination of the front part of the eye, including the cornea, iris and lens. Visual acuity measures the ability to see fine detail. Tests usually involve reading letters off a chart (to test distance vision) or a card (to test near vision). Ophthalmoscopy is a non-invasive imaging technique used to view the back of the eye, in particular the optic disc (the end of the optic nerve) and the retina. Eye drops may be used to dilate the pupils to improve the view. These drops can blur vision for a couple of hours after the exam. Ophthalmoscopy can help to rule out causes - other than cataracts - of vision problems. Early stages of a cataract often do not require treatment beyond managing any annoying symptoms. Your optometrist or ophthalmologist can help you with this. Surgical removal of the lens is the only way to treat a cataract. Cataract surgery is rarely urgent, but often people will decide to go ahead with surgery when cataracts start making it difficult to do important daily activities such as reading and driving. Wearing sunglasses and hats with brims in sunny conditions to help reduce the glare. In most cases, surgical treatment of a cataract is a relatively minor procedure. It is performed by an ophthalmologist. Cataract surgery is very effective and safe. In most cases, only one eye is operated on at a time. Prior to the surgery, your ophthalmologist will carefully assess and measure your eye. For many people, the procedure is done as day or outpatient surgery and will not require an overnight stay in a hospital. Most people are awake during the surgery (a sedative is often given), but the procedure can be performed under general anaesthetic. During the most common forms of cataract surgery, a small incision is made near the edge of the cornea and a small instrument is inserted into the eye to break up and remove the lens. In most cases, the ophthalmologist will then insert an intraocular lens implant (IOL) to take the place of the removed lens. There are a variety of IOLs available, including multifocal IOLs that can allow people to focus both closely and at a distance without needing glasses. Your ophthalmologist will discuss the most appropriate options for you. Rubbing or poking the eye in the first few weeks after the operation can interfere with its healing. Vision often begins to improve within days of the procedure, but it generally takes a few weeks before it nears normal vision. Antibiotic and steroid eye drops are prescribed for a few weeks following the operation to reduce inflammation and the chance of infection. Sometimes, the effect of congenital cataract on a child’s vision is mild and no treatment may be required. If the cataract does significantly reduce vision - and particularly if it is only present in one eye - it may impede normal development of the eye and vision. If this is the case, it may be recommended that the cataract be surgically removed. While most adults who have cataracts removed have an IOL lens implanted, this is not always the case for children, particularly infants. Your ophthalmologist will discuss what is most appropriate for your child. If an IOL is not implanted, the child will usually need to wear a contact lens to compensate for the lens being removed. They may also need treatment for amblyopia (lazy eye) and/or strabismus (turned eye) if the cataract has prevented normal development of vision. Cataract surgery is a very safe and effective procedure, though there can occasionally be complications. Bleeding or damage to structures inside the eye. Most complications of cataract surgery can be treated. Any loss of vision, increasing pain or redness in the eye after surgery - instead of slow improvement - may indicate complications. Reporting this to your ophthalmologist as soon as possible means that treatment may be more effective. In the most common forms of cataract surgery, the capsule of the original lens is left in place, so that the new replacement IOL can sit inside it. In some people, the back of the capsule can become opaque over time. This is called posterior lens capsule opacification (PCO). PCO is not a cataract re-forming. It is usually treated by a painless laser treatment called YAG laser capsulotomy. It does not require an incision in the eye and generally only takes a few minutes in the ophthalmologist’s rooms. Most cataracts develop slowly and do not cause any damage to the inside of the eye. Rarely, if the cataract becomes very advanced (called a hypermature cataract), the lens capsule can break down and the contents of the lens will begin to leak into the eye. 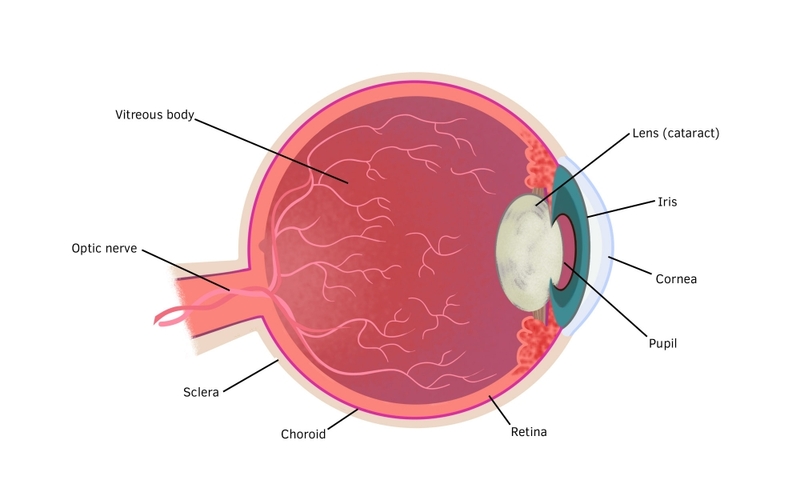 This can lead to inflammation inside the eye and glaucoma. If left untreated, a cataract will progress and can lead to blindness. Cataract surgery is a relatively simple procedure that leads to improvement for vision for most people. 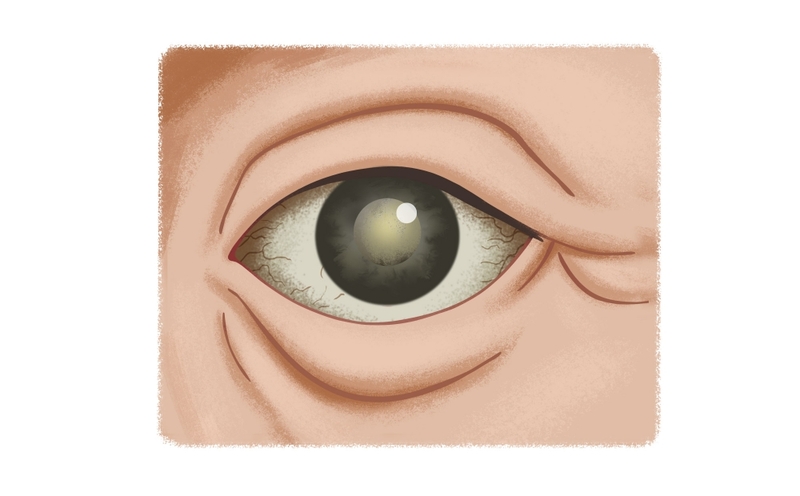 Once a cataract is removed, it cannot grow back. Cataracts cannot be entirely prevented, but it may help to avoid factors that can contribute to their more rapid development, such as smoking (quitting smoking) and excessive sun exposure.